Often “Broad Brush” approaches to data collection and measurement only gets results from people who find it easy to give feedback and harder to reach groups are under-represented in your results. 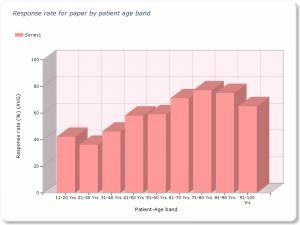 The data driven COM-Q service from CoMetrica allows you to see the true response rate of all of your patient groups and allows us to programme the most effective channel for each group of patients whether on-line, email, SMS text, posted paper or in-service paper. Our data-driven service automatically includes chosen demographic attributes such as age, geographic area and ethnicity so that you can be assured of equitable representation in your results and any variations in perceived service between groups. Our systems can use the best route for data collection for each individual patient and can be programmed to measure within a planned budget.